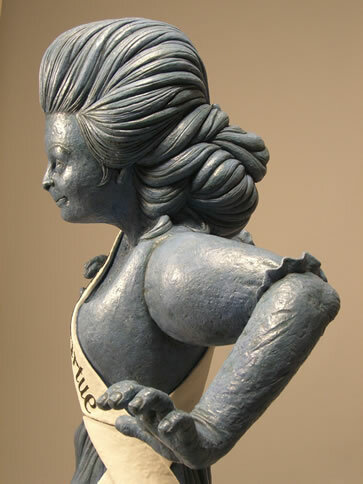 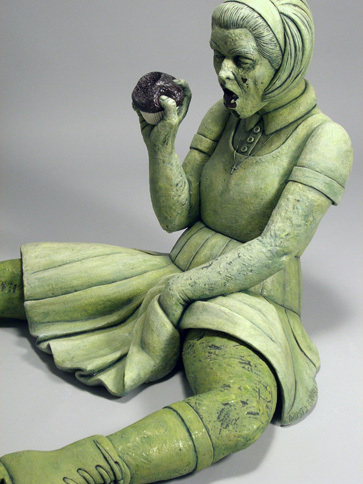 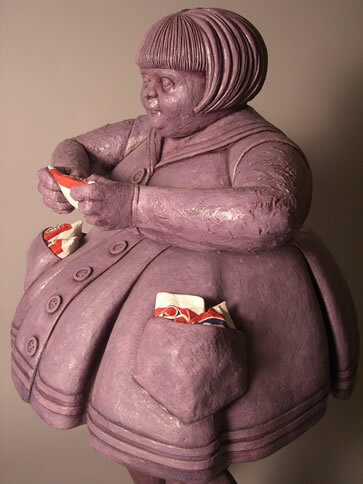 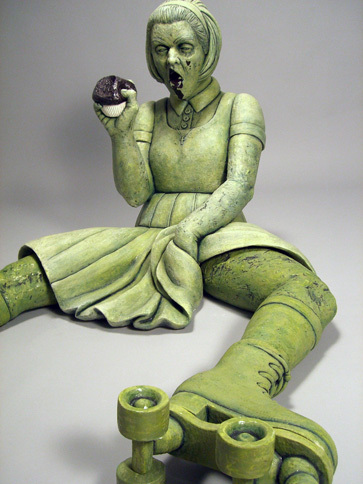 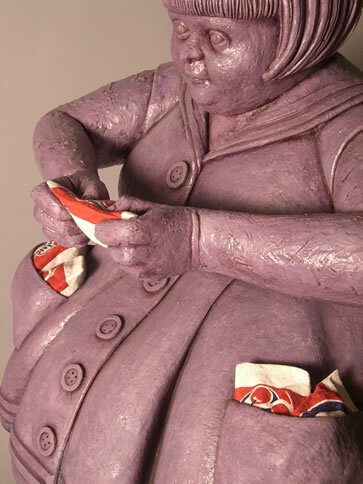 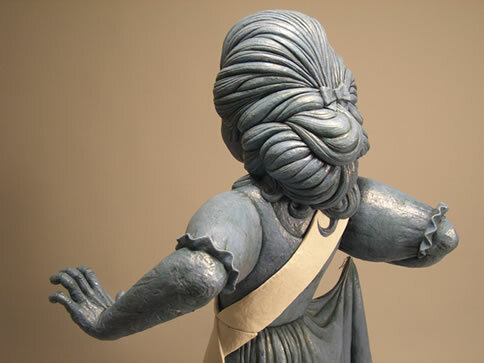 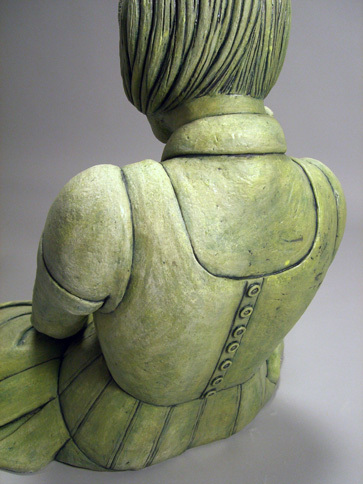 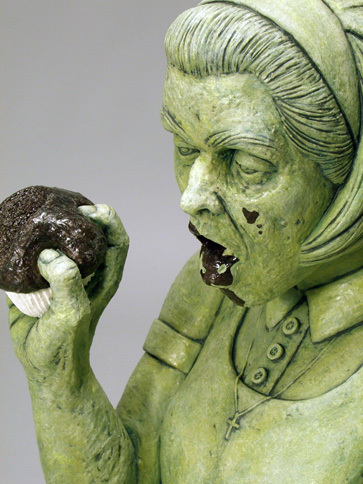 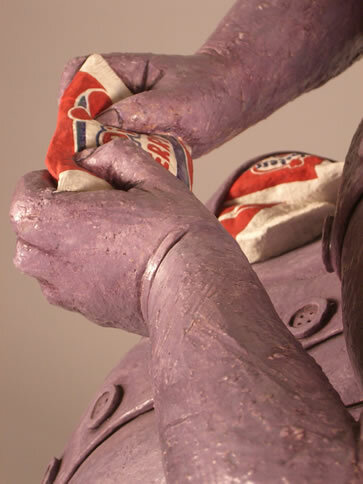 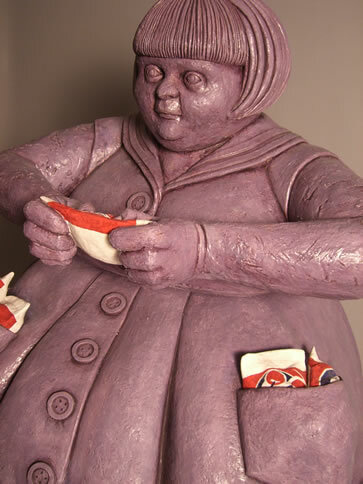 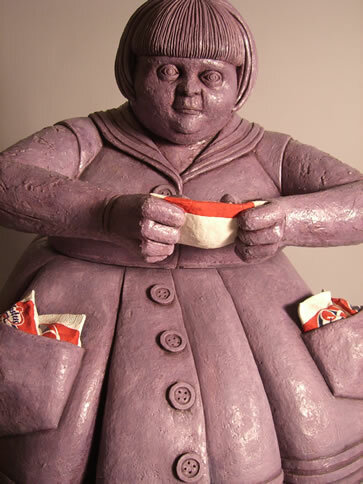 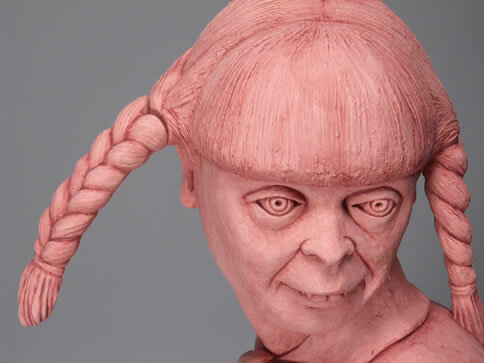 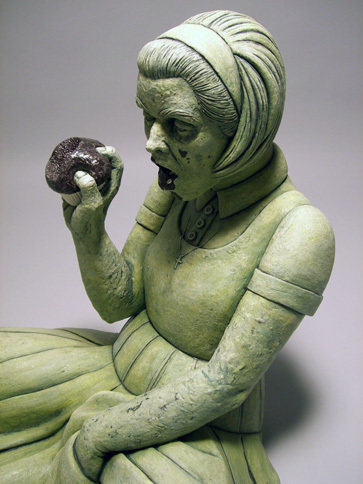 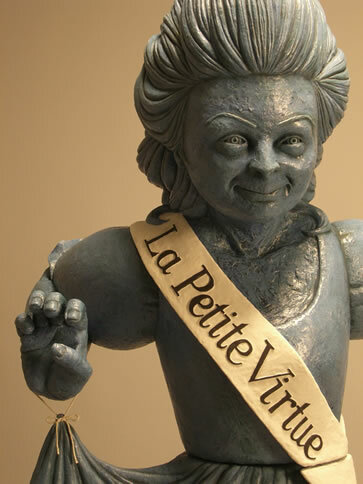 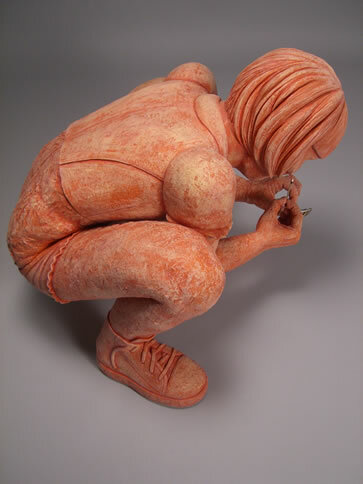 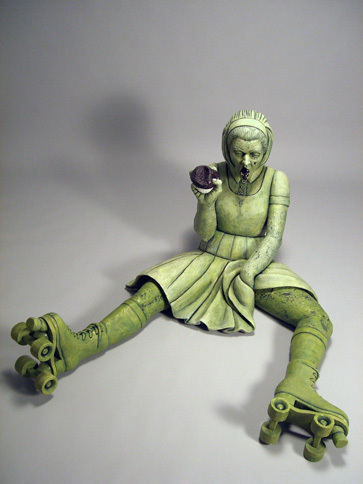 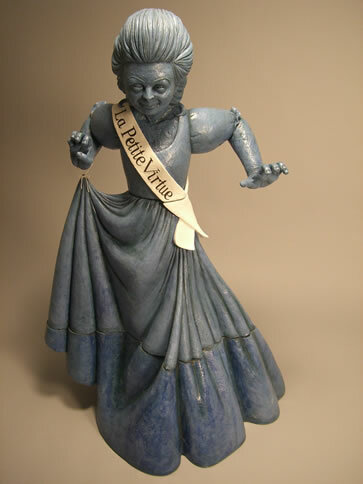 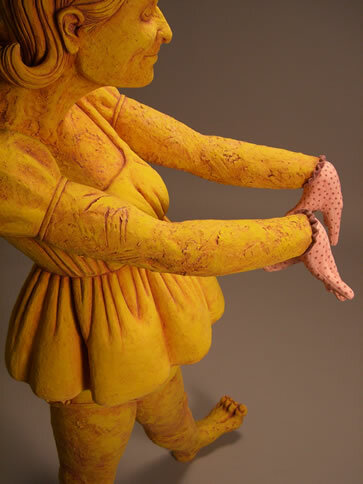 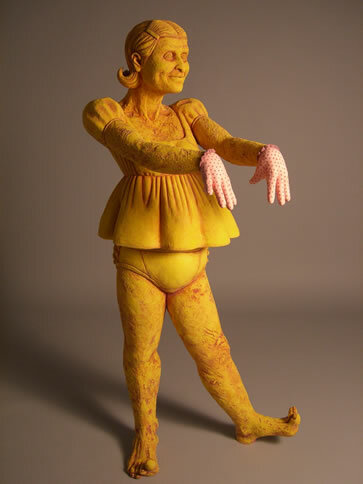 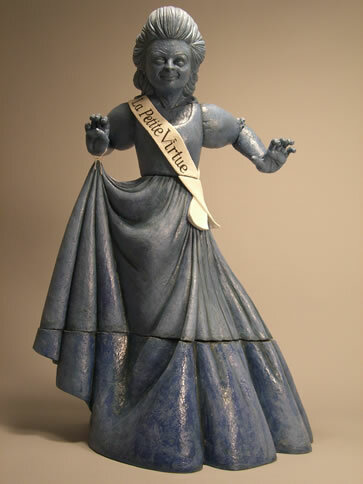 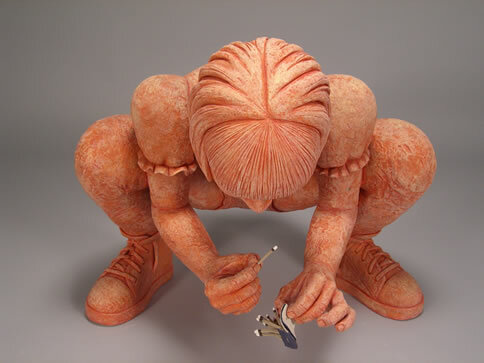 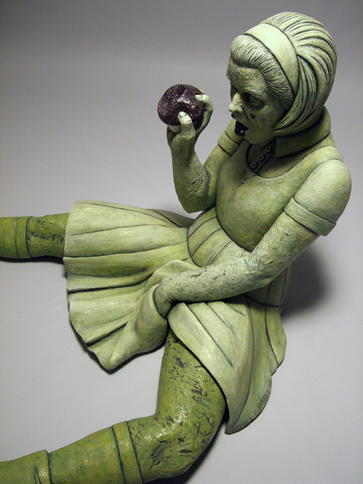 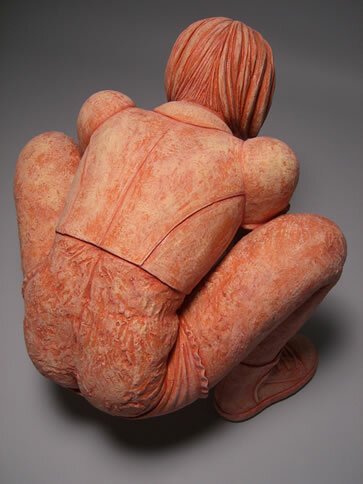 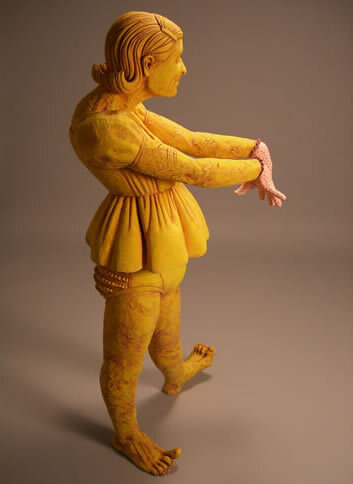 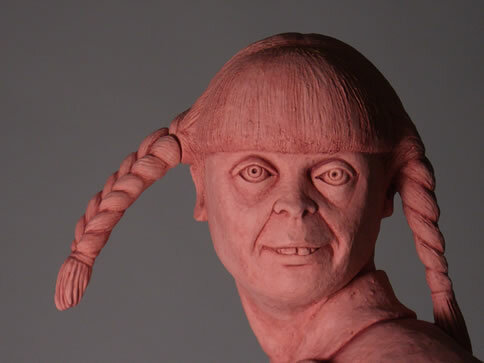 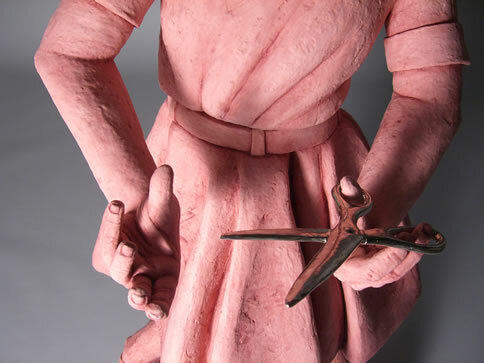 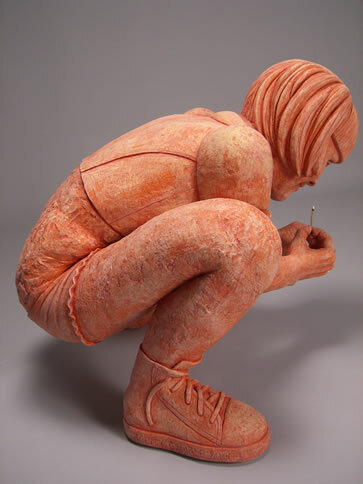 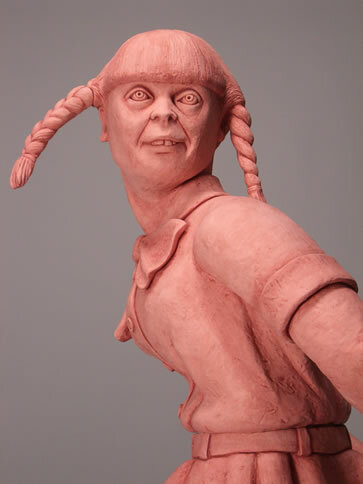 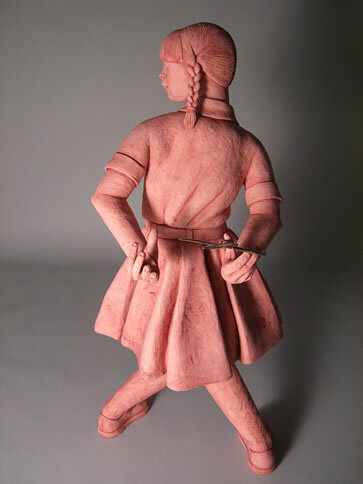 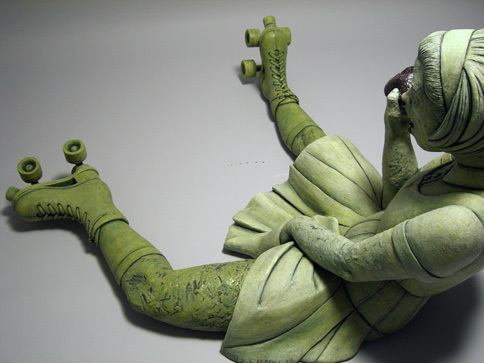 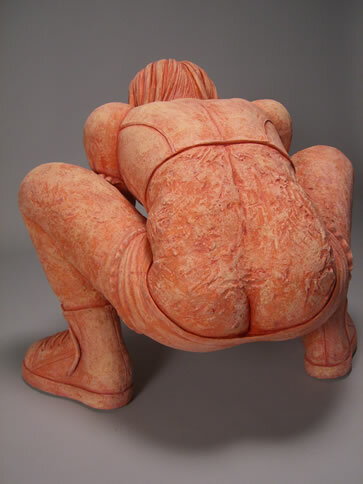 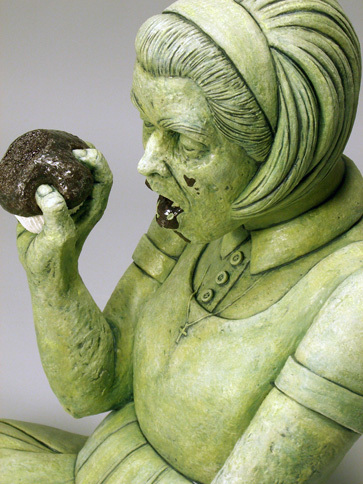 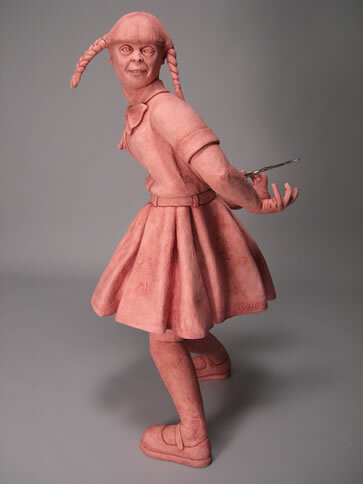 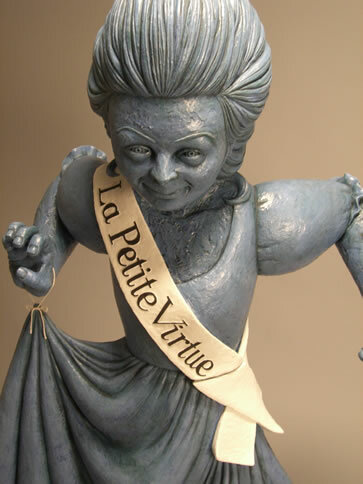 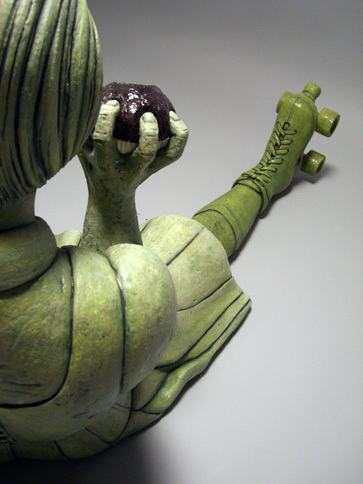 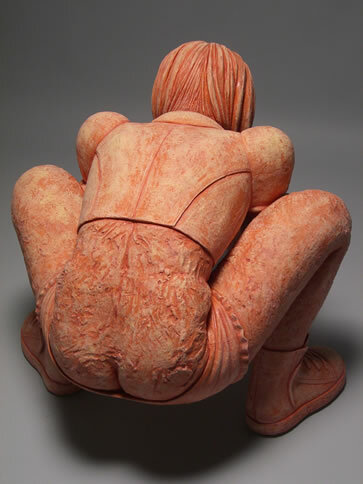 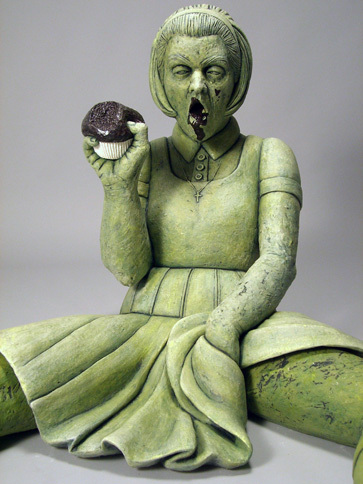 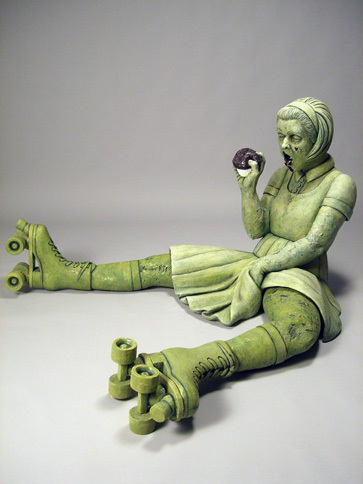 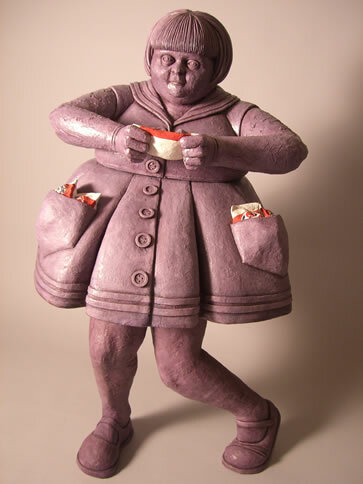 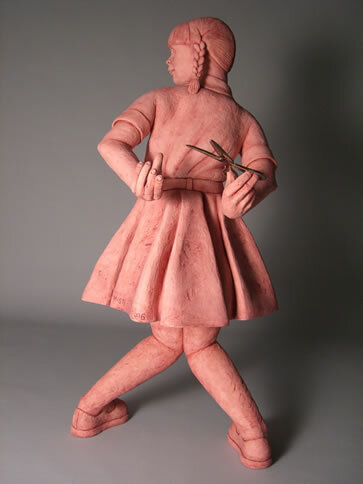 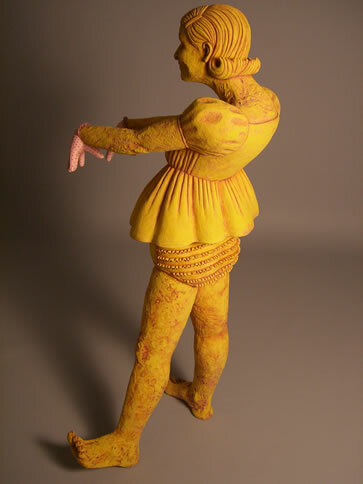 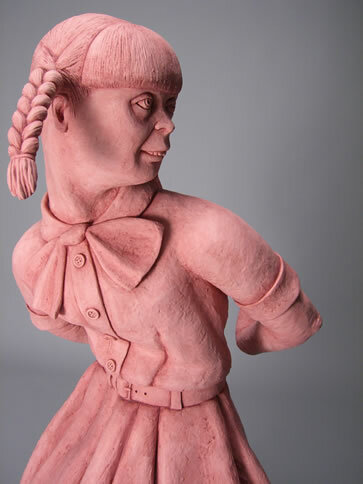 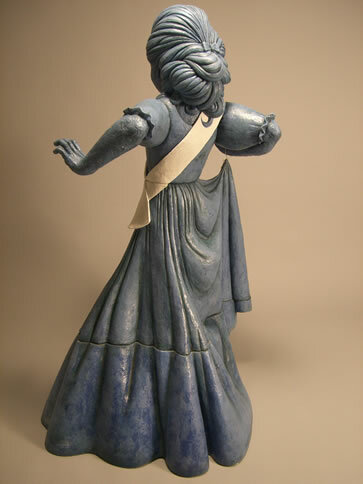 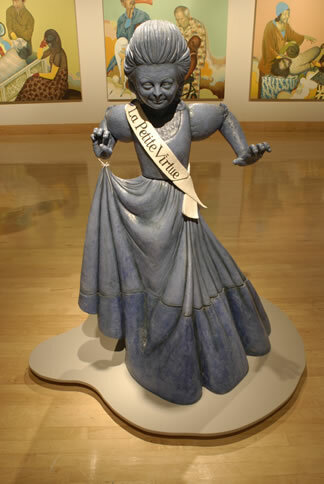 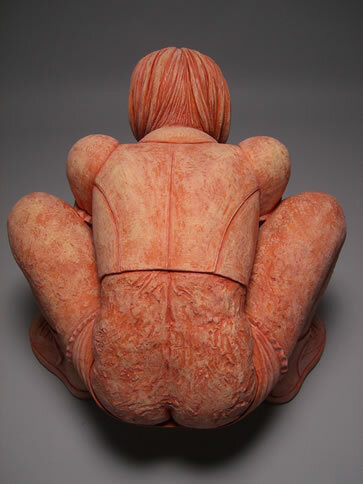 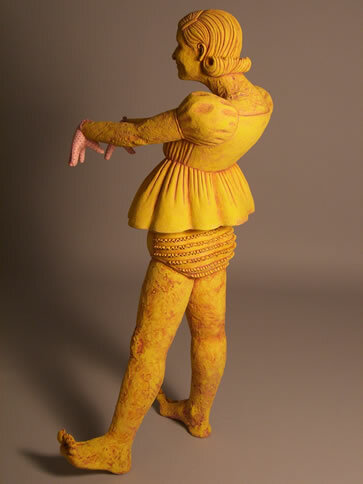 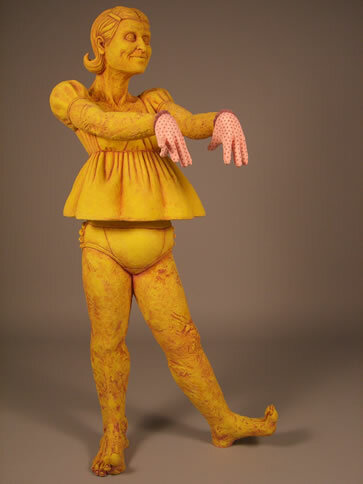 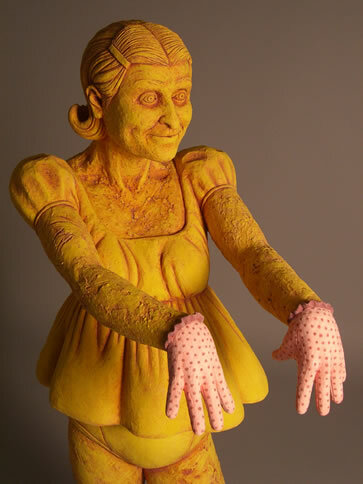 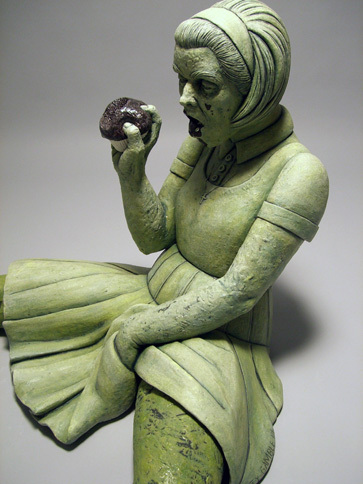 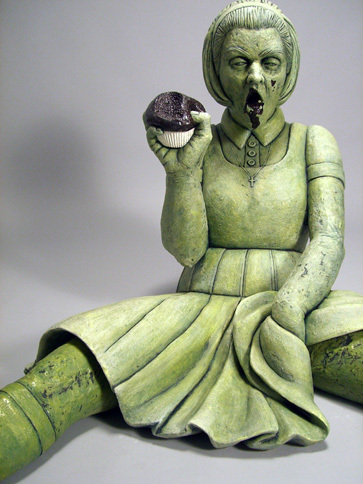 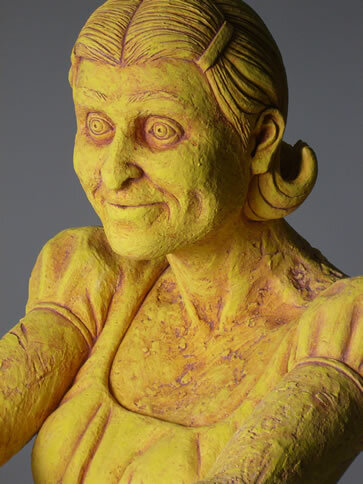 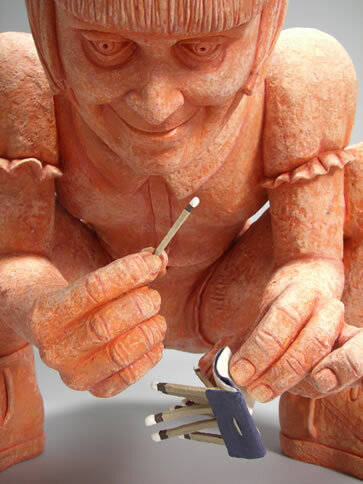 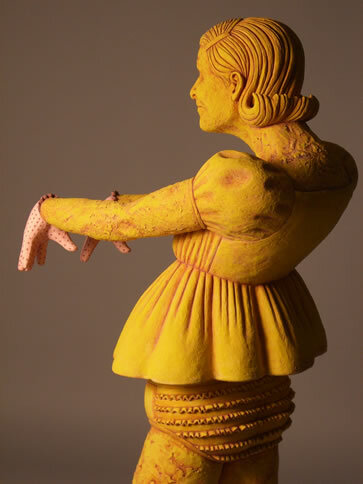 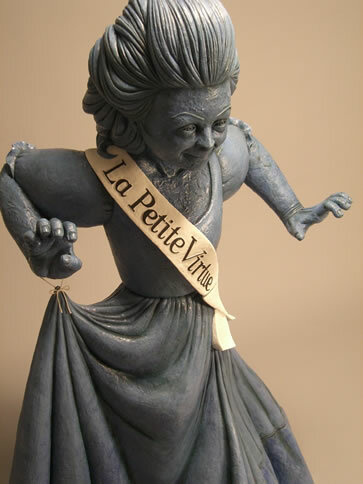 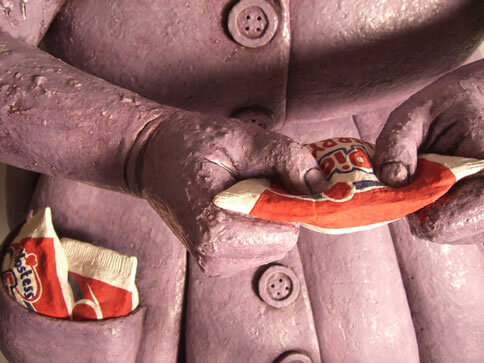 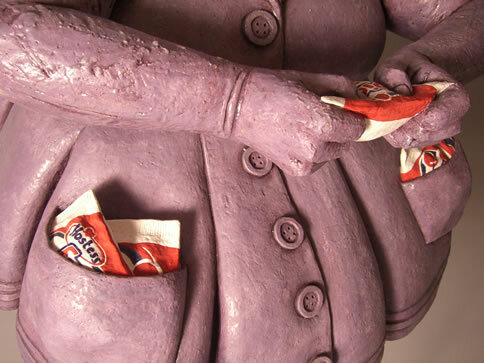 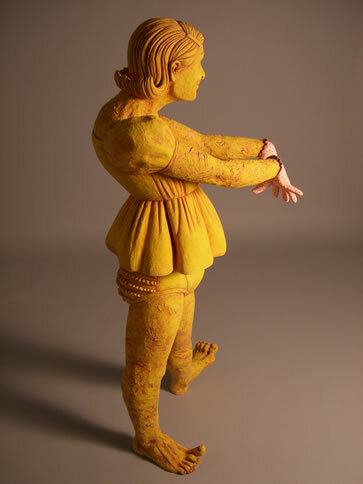 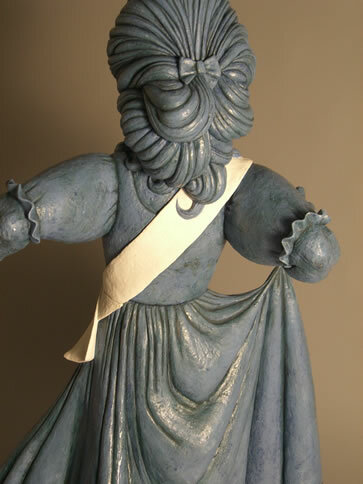 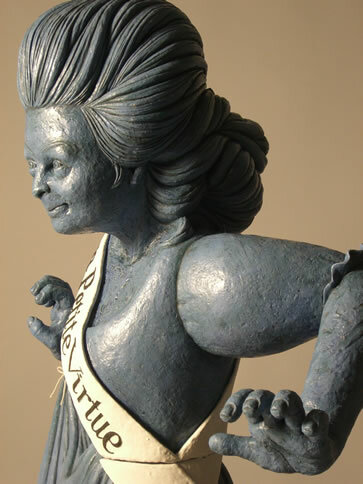 Focusing on the eccentric and unique qualities of the human figure, my ceramic work is derived from a combination of fantasy and reality. 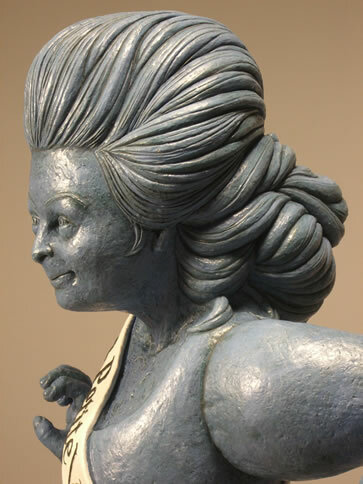 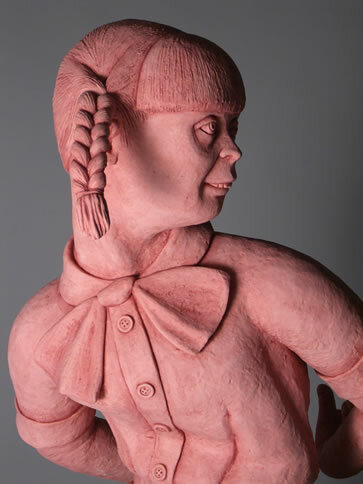 Gesture, posture and exaggeration of features play an important role in my ability to create dynamic sculptures that capture a moment in time. 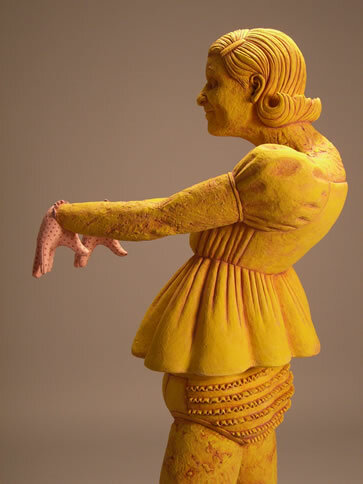 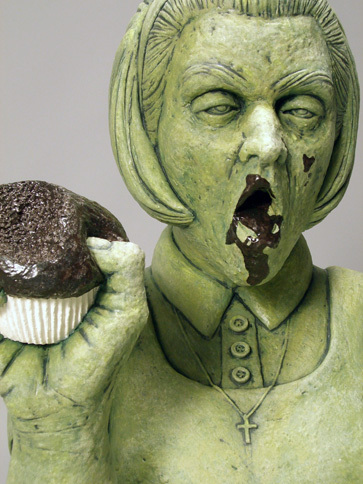 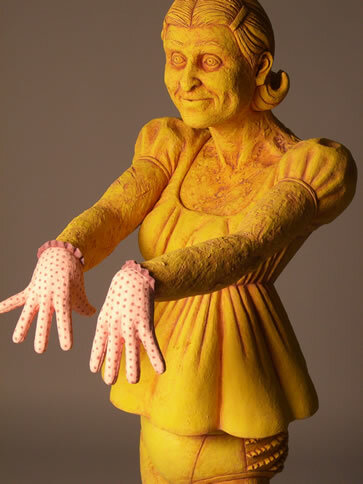 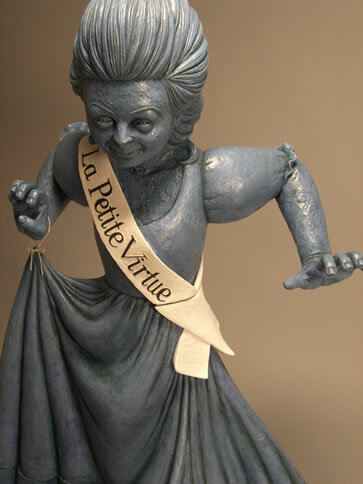 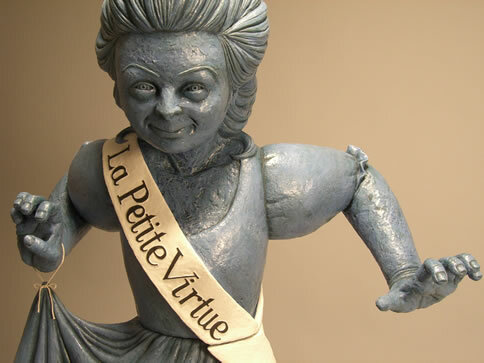 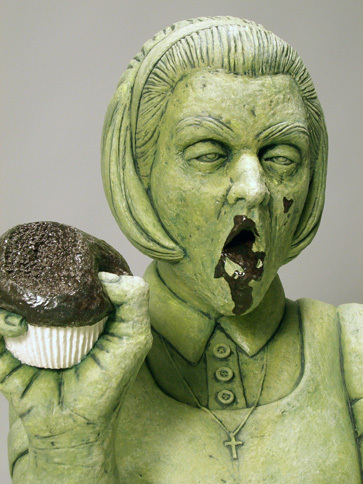 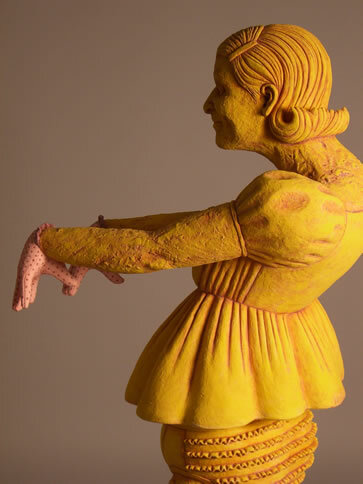 These snapshot sculptures in the series, Sweet Terror, display my interest in performance and an early background in puppetry. 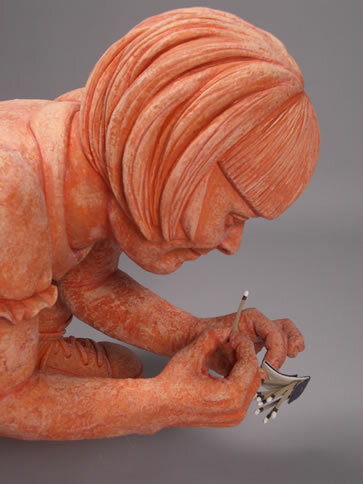 The work is further influenced by childhood memories and the id. 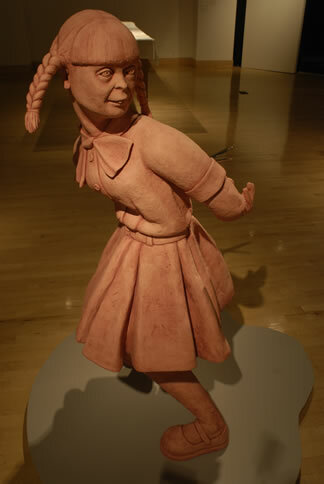 I am interested in questioning the perception of normalcy, morality, and appropriateness, while examining human social behavior. 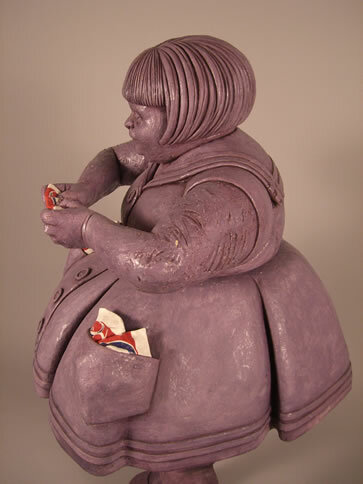 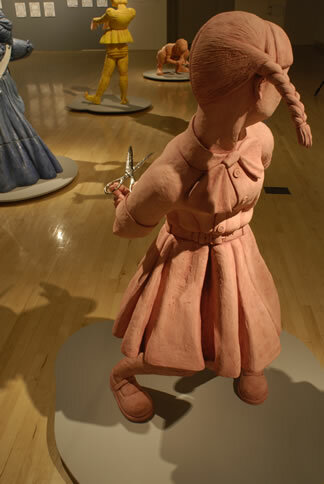 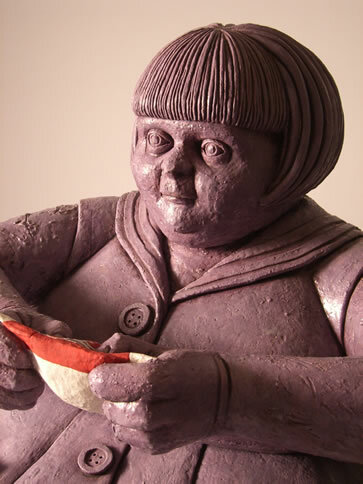 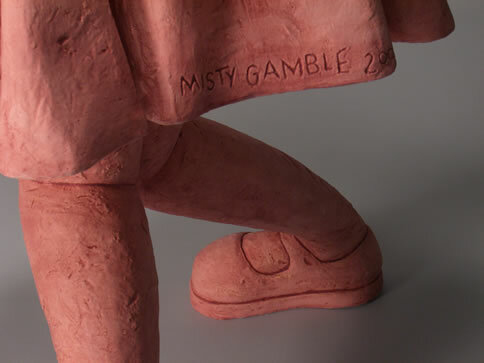 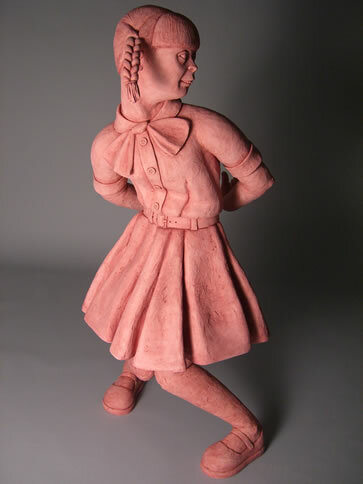 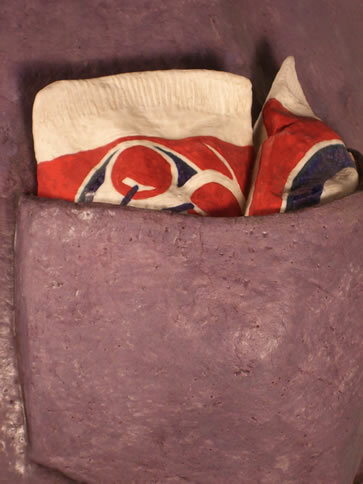 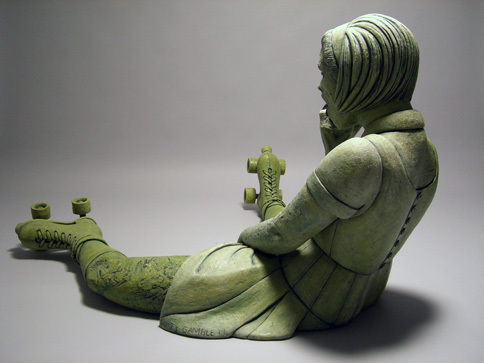 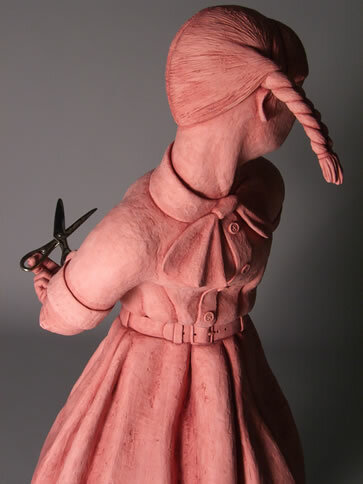 In my present ceramic work, I employ the imagery of children. 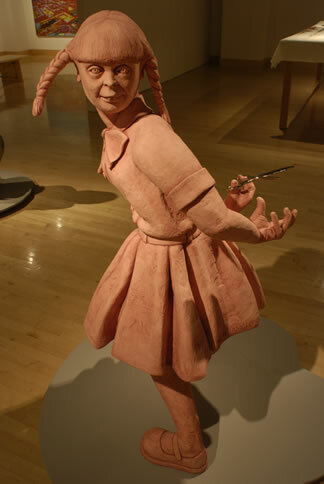 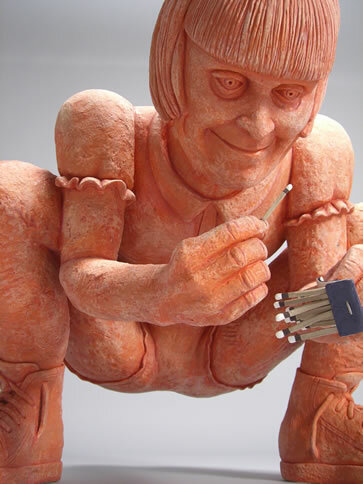 These life size children are influenced by the study of sociopaths and horror films that deal with modern everyday insecurities. 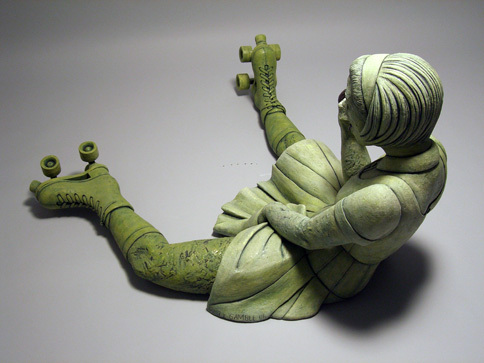 They live in a world where the line between adulthood and childhood is blurred. 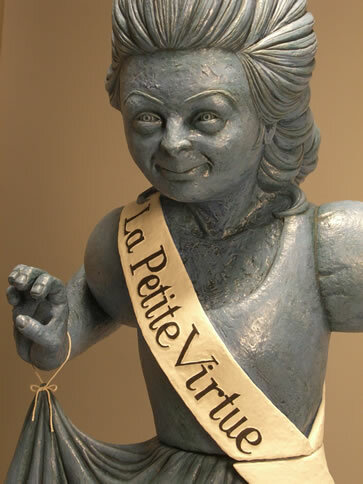 At once hideous and beautiful, sweet and terrifying, these free-willed children challenge our notion of innocence when they are presented with a chance to sin. 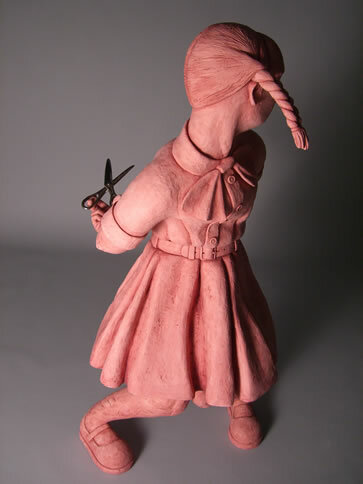 With a lack of self-awareness or understanding of social norms, the child’s body expresses exaggerated emotional states. 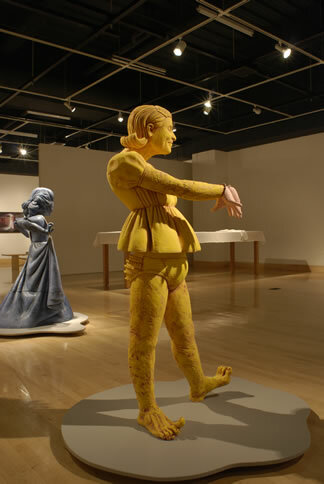 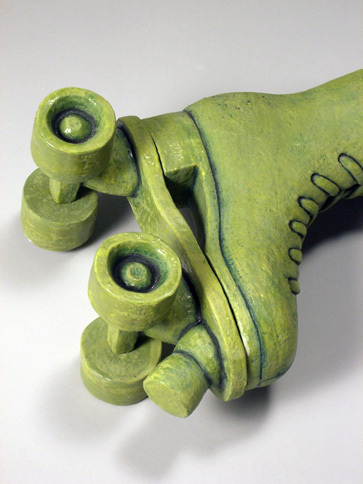 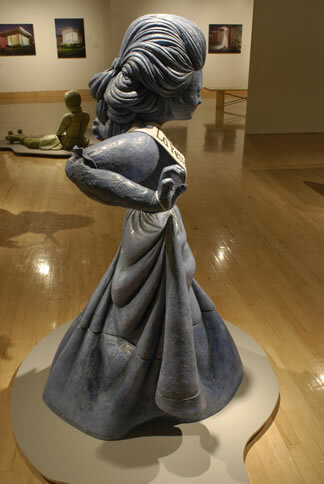 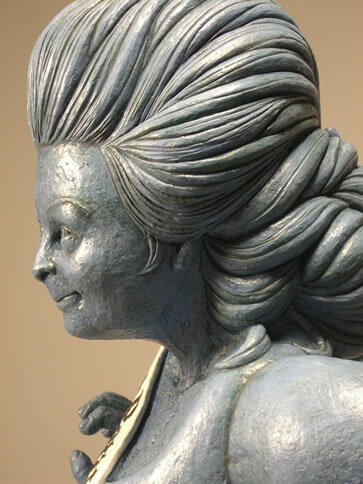 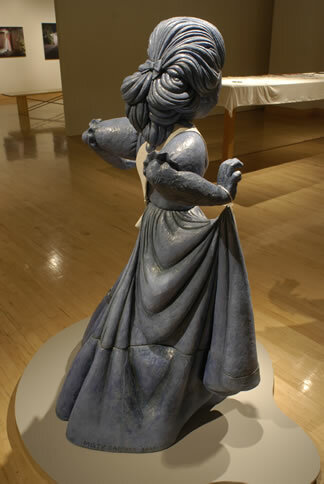 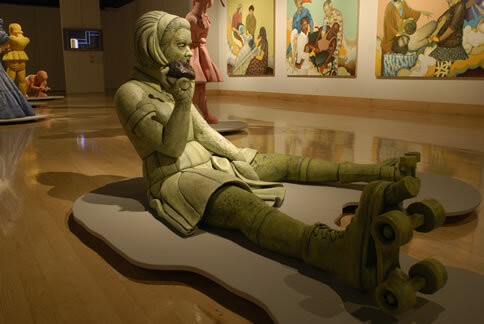 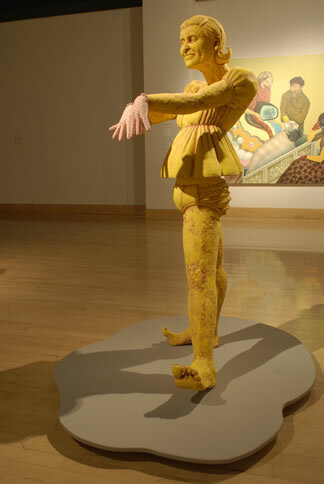 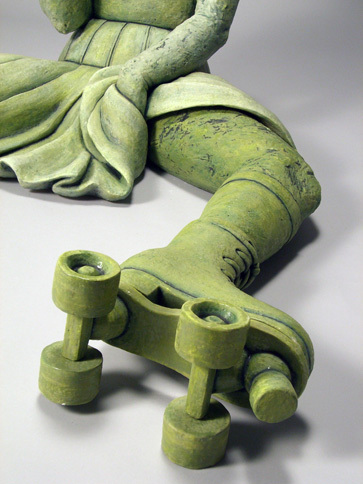 The work is displayed off of the traditional pedestal and meant for in-the-round viewing as an object existing in the same type of space as the viewer's. 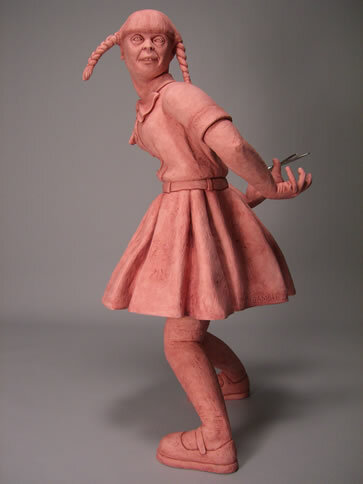 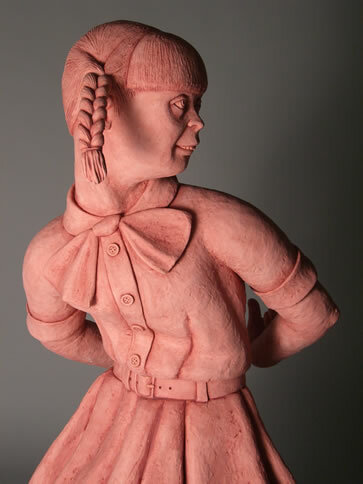 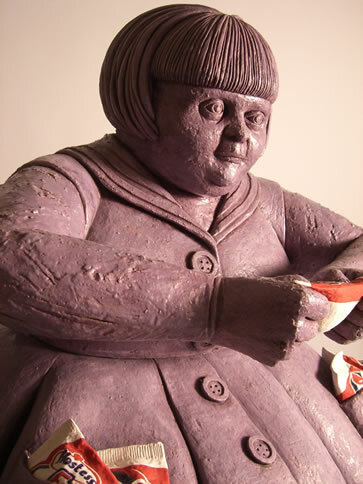 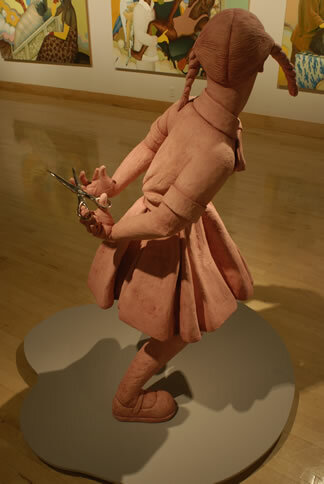 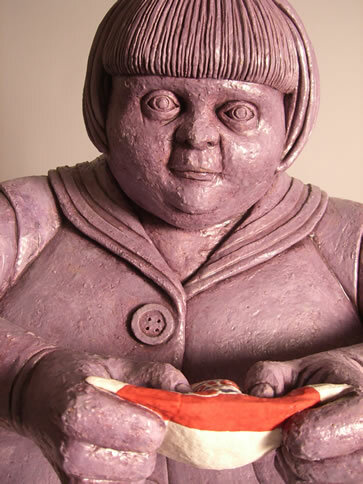 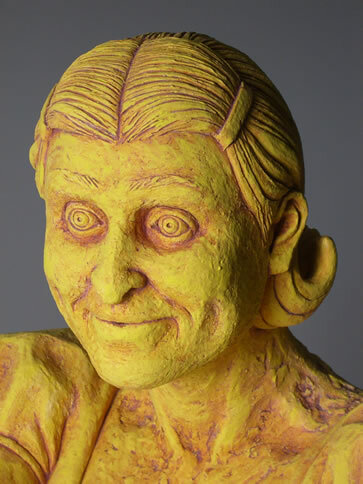 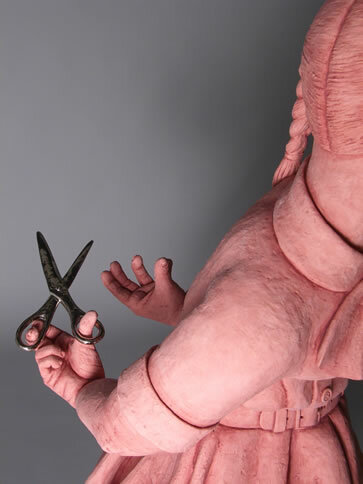 I use monochrome color on the textural surface of the figure as a formal device to recollect childhood nostalgia.